Watford's Boxing Dynamic Duo run for fun, as Batman and Robin! Liam and Miles Shinkwin, professional boxing cousins from Bushey, Watford will be completing the Watford 10K Charity Fun Run, kitted up as the dynamic duo Batman and Robin! The two are raising money for Watford MenCap, a charity dedicated to helping people with learning disabilities and their families in Watford, Three Rivers and Hertsmere. 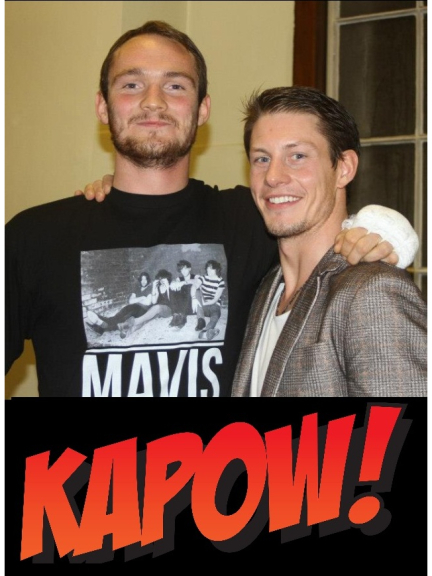 The two cousins punch back in the boxing ring and will certainly be adding their own “kapow” to the 10K race. Liam is now the Southern Area Lightweight Champion, a title he won on his 7th professional contest at Wembley Arena last month, and the family and fans are back there this Saturday for Miles' 3rd professional contest on the massive 'Rule Britannia bill, with world champion Nathan Cleverly headlining.